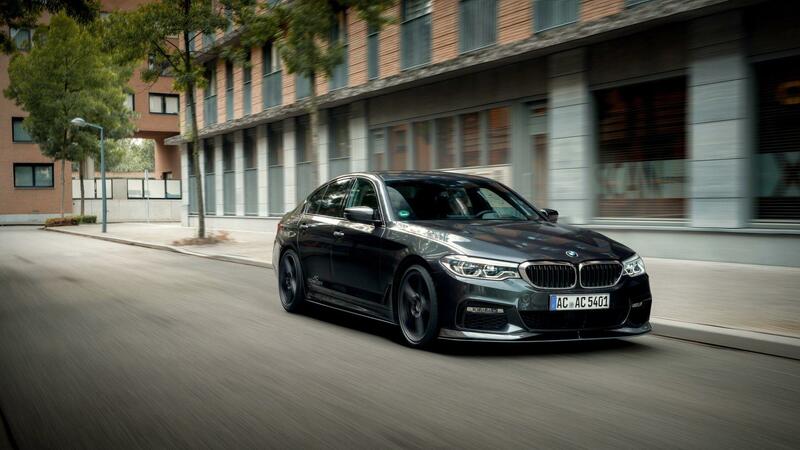 The BMW 5 Series range has changed a lot, especially in the last few years. While we were used to having plenty of 6-cylinder choices back in the day, now customers can get only one straight six gas engine in the G30 range. That’s the 540i and it brings plenty of performance thanks to its B58 engine. Making some 340 HP it has plenty of punch even for a car this size but while we love the way the B58 engine sounds, it could always use some help. AC Schnitzer is here to help. AC Schnitzer is one of the oldest BMW tuners out there having been in the aftermarket business for decades. They are also on of the few companies that allow you to modify your car without affecting your warranty and all their products are road-legal in the EU. The rear muffler for the BMW 540i showcased in the video below is one of those products and, judging by the clip, it does make quite a noticeable difference in the car’s character. The guys also have a wide variety of exhaust mufflers on stock as well as full exhaust for those wanting a bit more grunt out of the 5er. On top of that, all their kits are plug and play and they do come with a variety of tips, depending on your personal preference. Even though they don’t mention it, the full exhaust kits should also offer a bit more power and torque to the car, helping you out when in need of a few more hoofs. The standard 540i doesn’t sound bad at all but when compared to what AC Schnitzer is offering, it does seem way too tame for many people. The car in the video is also sporting an AC Schnitzer boot lid spoiler as well as a rear diffuser made of carbon fiber. The entire G30 5 Series range can be fitted with plenty more bits and pieces from AC Schnitzer as the German tuner launched its full catalogue of parts a while back.